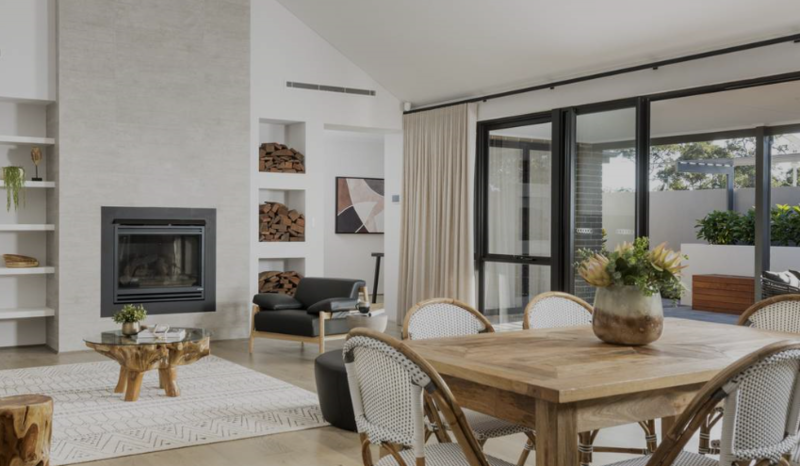 A very lucky bidder at the Telethon Home Auction event on 21 October can now enjoy the leafy surrounds of the foothills whilst still being connected to the city, after becoming the proud owners of this year’s New Level Telethon Home at The Hales Estate. The stunning 2-storey home was generously built and donated by New Level Homes, part of the InVogue family and owned by JWH Group with Satterley and The Hales Estate kindly donating part proceeds from the 450sqm block. Over 650 people flocked to The Hales estate property and enjoyed the garden party festivities of the free event with a special appearance from Fat Cat. It was a great day out for families with food trucks and community stalls, a live DJ and plenty for the kids to do, including plant decorating and planting, meeting wildlife animals, arts and crafts and face painting. Geoff Baldwin from RE/MAX WA said “It is great to see such a large crowd come out to show their support for a great cause, with many registered bidders on the day all trying to secure the home”. The winning bidder offered the $730,000 for the two-storey, four-bedroom, two-bathroom home in Forrestfield, 15km east of Perth. For the first time ever, the Telethon Home was built in Perth’s foothills. Designed with contemporary liveability in mind, The Hales will feature quality public open spaces, with all houses centred around a substantial strip of parkland. The Hales is landscaped to retain the natural features of the site; built around existing native Marri and Jarrah trees and the trickling waters of Crumpet Creek. Built by New Level Homes, who have being building the Metropolitan Telethon home for the past 13 years, this custom designed home blends coastal and country design elements seamlessly. Over 650 people flocked to The Hales estate property and enjoyed the garden party festivities of the free event with a special appearance from Fat Cat. It was a great day out for families with food trucks and community stalls, a live DJ and plenty for the kids to do including plant decorating and planting, meeting wildlife animals, arts and crafts and face painting.